Here are 14 skill screenshots from the Vanguard warrior tree. Expect more detailed skill descriptions and information for all the classes/specs as the game releases tomorrow. 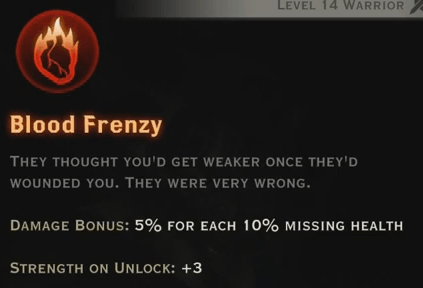 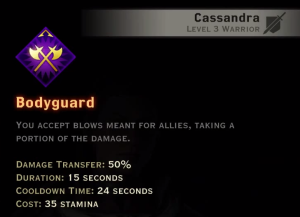 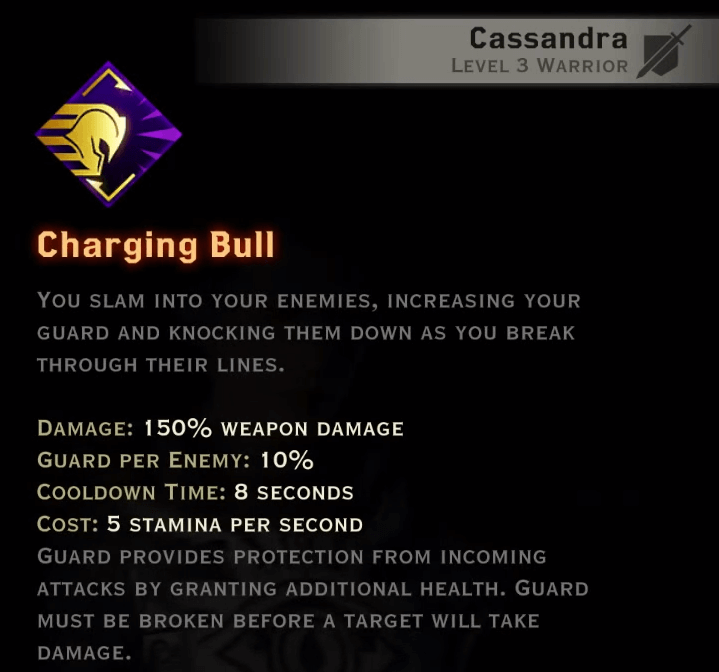 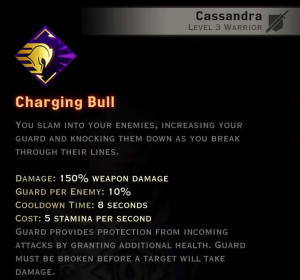 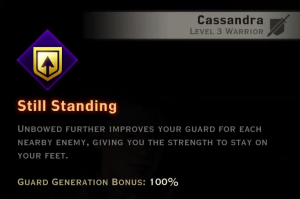 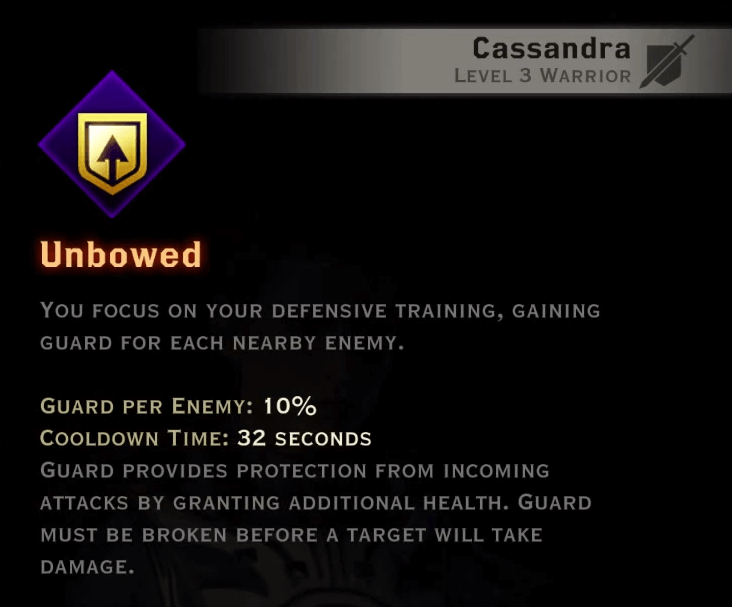 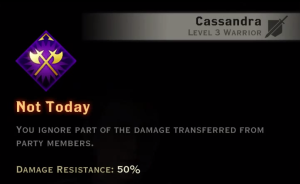 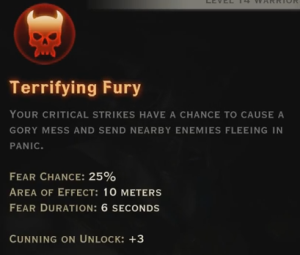 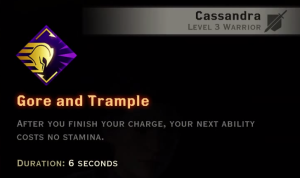 Here are some more screencaps of Inquisition’s skills, in this case for two Warrior specializations: Reaver and Templar. 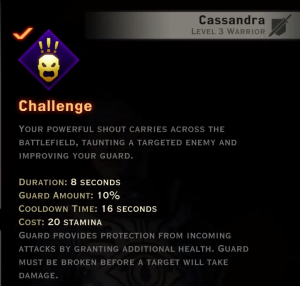 These are not all the skills but they still give us a pretty good idea of what to expect. 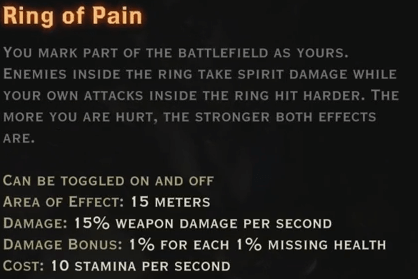 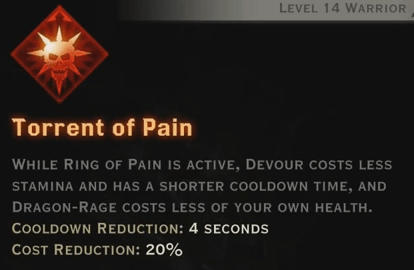 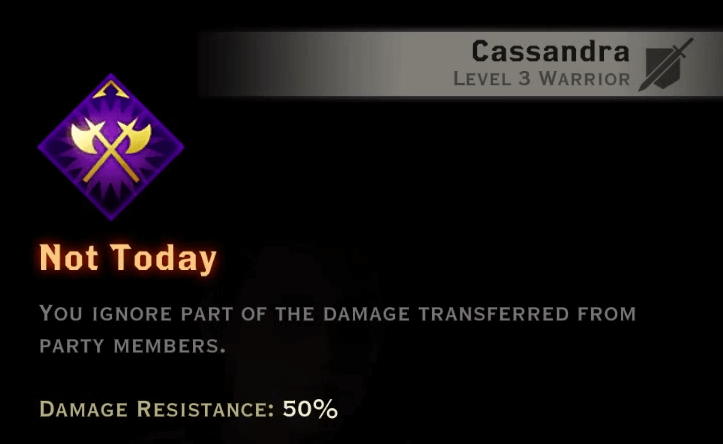 The Reaver specialization is all about increasing your damage output at the cost of losing health. 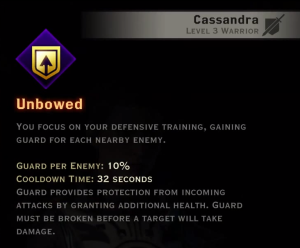 Templars are essentially the same defensive warriors as they were in previous games, but the skills are almost entirely new. 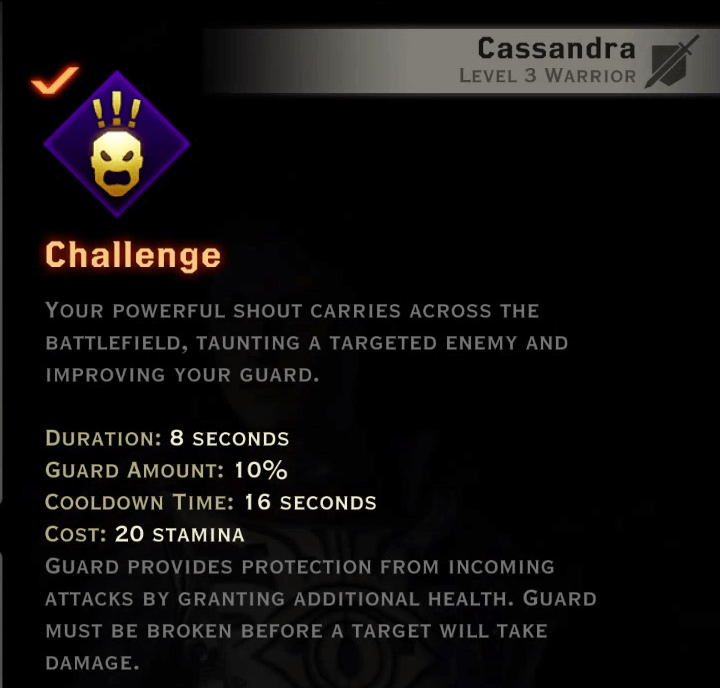 A lot of cool support/buff abilities here. 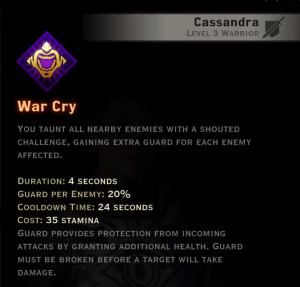 Here is another imgur album with new screenshots. 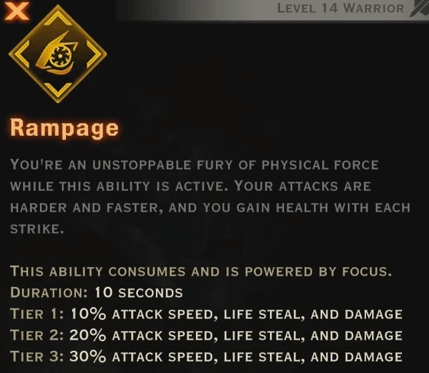 And a new video, featuring a more in-depth look at some of the game’s skills and abilities. 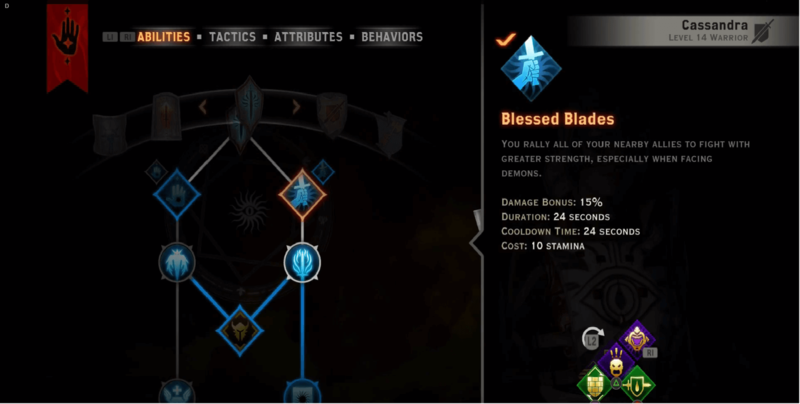 Bioware’s Dragon Age Keep is now officially in Open beta and available to everyone – the online manager that allows you to set up the game world using game decisions from Dragon Age: Origins and Dragon Age 2. 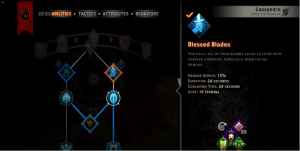 Come check it out and start setting up your story for Inquisition! 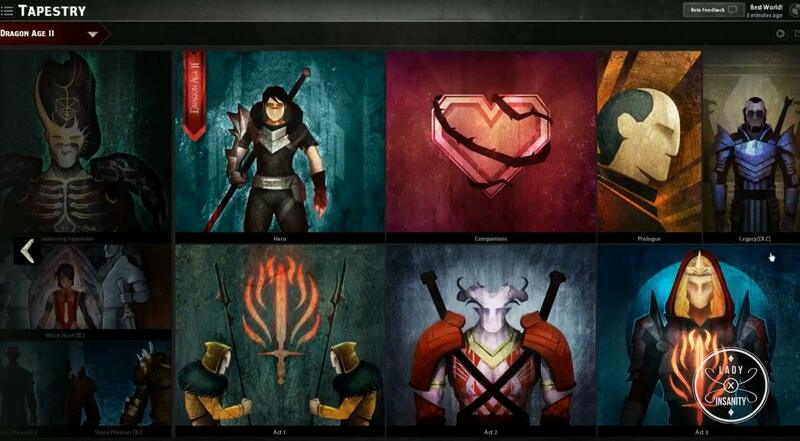 What race will you choose? 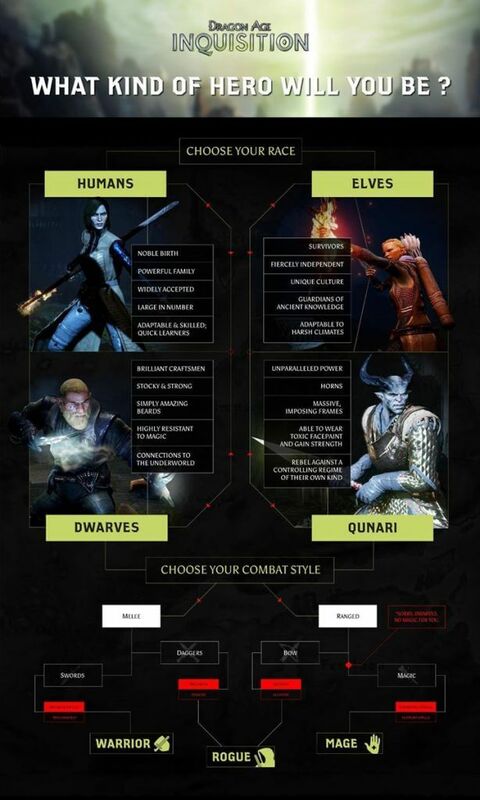 I’m personally going to go with Qunari for my first character.